a. The vehicle's ECM uses the ISO 15765-4 for communication protocol. The terminal arrangement of the DLC3 complies with SAE J1962 and matches the ISO 15765-4 format. Connect the cable of the intelligent tester to the DLC3, turn the ignition switch ON and attempt to use the intelligent tester. 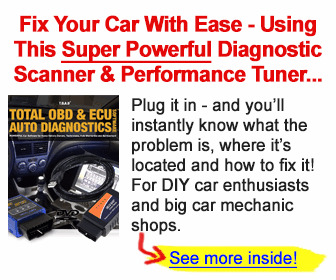 If the screen displays a communication error message, a problem exists in the vehicle side or the tester side. If communication is normal when the tool is connected to another vehicle, inspect the DLC3 on the original vehicle. If communication is still not possible when the tool is connected to another vehicle, the problem is probably in the tool itself. 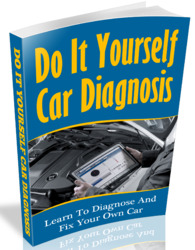 Consult the Service Department listed in the tool's instruction manual. Fig. 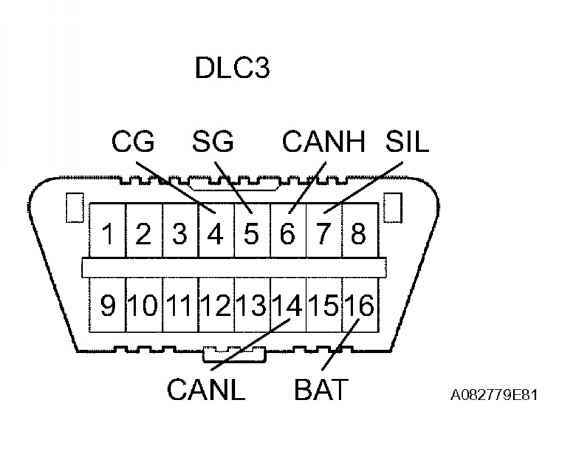 20: Identifying Data Link Connector 3 (DLC3) Courtesy of TOYOTA MOTOR SALES, U.S.A., INC.